Postpartum doulas do whatever parents need to best enjoy and care for their new baby. A large part of their role is education. They share information about baby care with parents, as well as teach siblings and partners to “mother the mother.” They assist with breastfeeding education. Postpartum doulas also make sure the birthing parent is fed, well hydrated and comfortable. A doula is not a medical professional and will not perform clinical tasks. A doula cannot treat or diagnose specific medical conditions or concerns for mother or baby. A doula does not make decisions on your behalf. We will provide you with the information and community resources necessary to help you and your partner make informed decisions. Book a 30 minute free consult online with one of our postpartum Doulas. You can book this while you’re pregnant or after the arrival of your baby. Once you choose your postpartum doula, you can purchase a 10-hour pack of hours or pay by the hour. Your postpartum appointments are usually booked in 3 hour increments. You will work this out with your doula. Questions? You can contact our doulas directly, or contact us at 226.663.3243 or email us directly at info@rebirthwellness.ca. I was inspired to become a doula after learning of the invaluable support and transformative experience that close friends had with their doula during labour and postpartum, and I’m thrilled to have found my passion in this work. I work collaboratively with care providers, partners and families to help foster a supportive and informed team. As a Full Spectrum Doula, I extend the doula model of care to people across the reproductive spectrum, including pregnancy, birth, fertility, abortion, adoption, surrogacy, miscarriage, stillbirth, and postpartum. 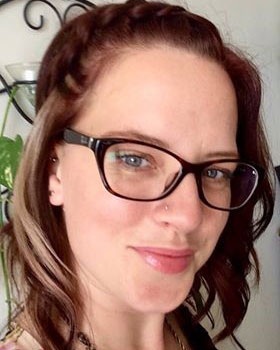 I am a trained professional and graduate of Fanshawe College’s Doula Studies Program and can provide emotional, physical and informational support that is individually tailored to fit the unique needs of each client. Additionally, I believe that my Bachelor’s degree in Sociology and previous professional experience with working front line at a counselling agency has given me a deeper understanding and appreciation to the diversity and resiliency of individuals and has fuelled my commitment to build a practice of compassionate care, autonomy and respect. When I’m not supporting individuals and families, I’m most likely to be found hiking (hiking all of Canada’s National Parks is a bucket list item of mine! ), listening to 80’s music, playing board games with friends and family and eating copious amounts of guacamole. Pregnancy, birth, breastfeeding and parenting are a spiritual journey. Becoming a mother changes you, your perspective of the world, and your relationships with those around you. Women need to be supported in this journey and know that they are safe and seen, and feel soothed and secure. For many mothers, the postpartum period is a vulnerable time with ups and downs and a spectrum of emotions. Receiving compassionate support during this time can make all the difference. I am a Mama of two wonderful children who teach me something new each day. Through pregnancy, birth and parenting I have discovered a power within me that I never knew existed. It is my hope to support other woman to connect with their innate power. I believe that if woman are supported, educated and encouraged in their journey that they can have thrive as mothers, make informed choices for themselves and their families, and truly know that they are enough. I am a teacher at heart and am passionate about equipping women and couples through childbirth, postpartum and breastfeeding education. I am a certified Perinatal Support Practitioner (Full Spectrum Doula) and trained through the Babies Naturally program as a childbirth educator, birth and postpartum doula, and to provide breastfeeding support, and loss counselling. Through my professional education and 10 years of serving families and communities as a minister, I have had the privilege to walk with families through birth, growth, and the joys and sorrows of life, and death. I believe that my extensive experience in providing spiritual care to individuals and families has equipped me to be a compassionate and supportive doula for women as they navigate through this vulnerable journey of motherhood. I am particularly passionate about supporting women and families who are facing loss through miscarriage, stillbirth, or grieving a birth that did not go as planned. Kim Bartlett is a certified Perinatal Support Practitioner (Full Spectrum Doula). Kim offers postpartum doula services, breastfeeding support, and childbirth education. She completed her training through Babies Naturally. Through her own birth and postpartum experience, Kim discovered a passion for encouraging, guiding and providing new parents with the the support needed to transition into their new role as parents.She fully supports every family and their individual needs. She believes that we need to support each other in our journey into parenthood. When she isn't supporting families she enjoys building forts with her children and savouring lukewarm cups of coffee.